How do I enable Canvas permissions for admins to manage a Catalog account? Canvas admins are not automatically given access to the admin features in Canvas Catalog. 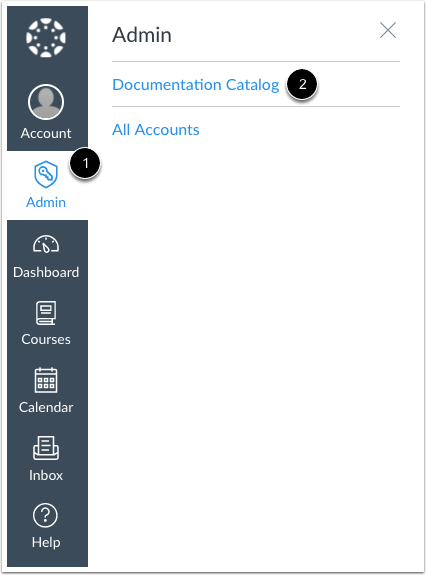 Catalog admins can manage all course and program listings in Catalog, as well as user registration, reports, and promotions. As the Catalog account admin, you may need to add another Canvas admin as a Catalog admin. You will need to enable the catalog permission for the admin's role at the account level. 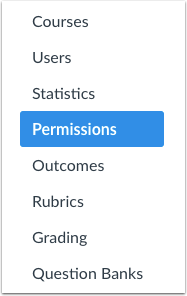 For more information about permissions, please see the Canvas Admin Guide. Note: The catalog permission only appears in Permissions for institutions that have a Canvas Catalog account and does not apply to subaccount roles. Click the Admin link , then click the name of the account . In Account Navigation, click the Permissions link. Click the Account Roles tab. In Account Permissions, locate the user role and enable the Manage catalog permission. Previous Topic:How do I add a user as an admin for a Catalog account in Canvas? Next Topic:How do I access my Catalog beta environment? Table of Contents > Admins - Canvas > How do I enable Canvas permissions for admins to manage a Catalog account?